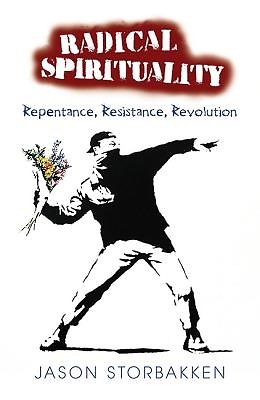 A unique blend of autobiography, scriptural exegesis, political critique, and religious manifesto, this book is aimed at Christians who seek a deeper, more authentic spirituality. The author, a Mennonite minister and the director of an interfaith intentional community in New York, interprets the message of Jesus in the Bible to mean we are each called to a more radical form of discipleship, and to be a counter-witness to our prevailing culture in our spirituality and way of life. In addition to telling his own long journey to his current faith, Storbakken also offers a strong critique of contemporary American culture and religious expression. This is the story of my pursuit of God and the cloud of witnesses who have shaped me, writes Storbakken. I have had many failings in my life, and expect more struggles before this life is over, yet through these obstacles I have encountered a God who provides redemption and liberation, light and love to all who humbly, earnestly call upon the Holy Name. While this book is my personal story, that is, my testimony of Christ s work in my life, it is also a description of the theology and praxis that I have encountered as a disciple on the margins of the church as well as the margins of society. "